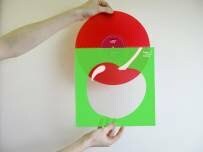 On the 16th of April a limited edition red vinyl 12" will be released of Roisin's collaboration with Toddla T. The track is called Cherry Picking. In August Toddla T spoke to Clash Music about his next album. He announced the collaboration with Roisin and revealed the record's sound will be a combination of dubstep, electro and dancehall. I cannot wait to hear the outcome of this! The exclusive 12" is part of a range of releases for this year's edition of Record Store Day, an annual event in support of independent record shops in the UK. Can we have a sneaky preview ??? April seems along way off!!!!! ist there any chance to get this outside the uk? i'd really dig getting it! In my opinion one and all should browse on this. I believe everybody should browse on it.